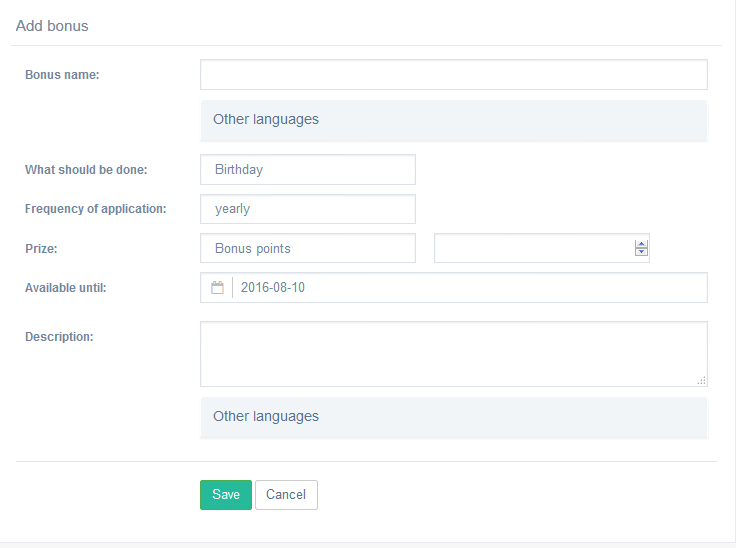 Control the bonus options from admin panel > Modules > Bonuses (/admin/bonuses/index/). 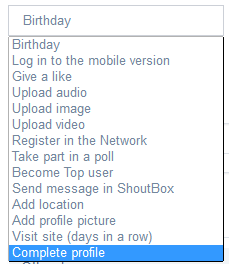 Click Add bonus and fill out the fields. The list of available actions is limited by default, but you can think of new ones and expand it with the help of our Experts team. Frequency of application options depend on the action you choose.